The number of commuters opting for metro rail varies from 60,000 to 70,000 per day. Metro Rail officials stated that they would earmark one coach exclusively for women. 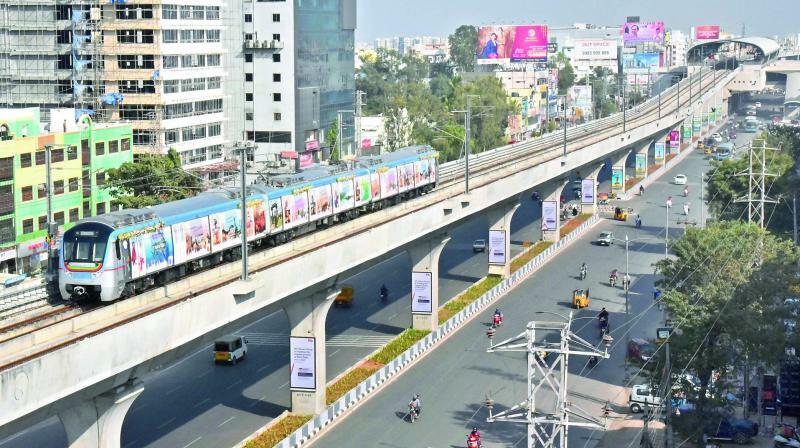 Hyderabad: A special coach is being dedicated for women in the Hyderabad metro train from May 7th. Metro trains are a combination of three coaches and there are no compartments to separate them. Metro Rail officials stated that they would earmark one coach exclusively for women. Platforms have staff to help commuters board the train and they will guide women to the ladies coach. This is being done for safety and security reasons and also to ensure that more and more women opt for the metro rail service. Presently, the number of commuters opting for metro rail varies from 60,000 to 70,000 per day and it has been found that there are many women who are opting for this service. With parking facilities created in the inaugurated stretch, there are many two-wheeler commuters also who have opted for metro rail.